I’m not superstitious (touch wood), but plenty of Thai people are and spending time here it soon becomes apparent just how many superstitions and beliefs there are in Thailand. Odd numbers are often considered to be luckier than even numbers with the number 3 being very lucky. However, it is the number 9 which is supposed to bring most good fortune in Thailand. Not only is it 3 x 3, but the Thai word for nine, gao, has special status because it sounds similar to two other important Thai words: Kow-nah can be translated as progress or moving forward whilst the staple food of Thailand, rice, is called khao. 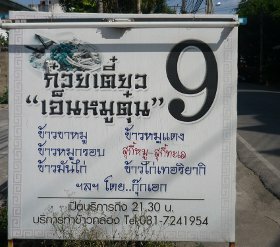 The importance given to the number 9 can be seen in a number of diverse ways and the belief cuts across Thai society from the highest to lowest. Last year, 9999 commemorative golden-coloured iPods were produced to mark the Thai king’s 60th anniversary. At Buddhist ceremonies such as weddings, 9 monks are often invited. When new buildings, hotels or shops are opened, 9 monks may also be invited to bless proceedings and ensure prosperity and good luck. 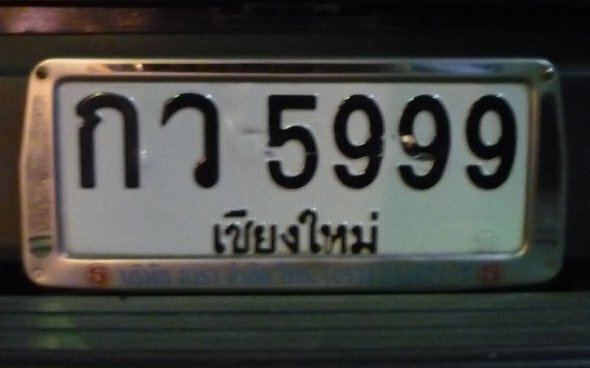 A few years ago the Thai transport minister spent $95,000 on what was seen to be a particularly auspicious license plate with the number 9999. Keeping in with this Thai lucky number theme, I won’t be promoting top 10 places to stay in Thailand or top 5 things to see in Bangkok. Instead, it will be 9 recommended hotels and 9 sights to see. Right, that’s quite enough talk about lucky numbers, I’m off to buy a lottery ticket . . .